It’s not every week you have to fly down to LA twice, but what a great reason to do it. “Age of Sail” was nominated in a bunch of categories, and won Outstanding Production Design at the Annie Awards, and Outstanding Visual Effects in a Real-Time Project at the VES Awards. I’m so grateful to have worked with this amazing team of artists, and and so proud of what we’ve accomplished together! 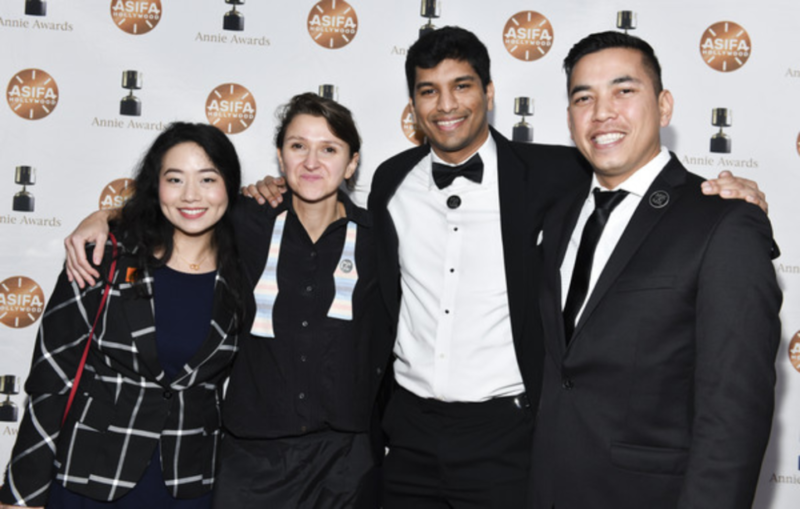 Jasmin Lai, Céline Desrumaux, Sikand Srinivas and Neth Nom at the Annie Awards. 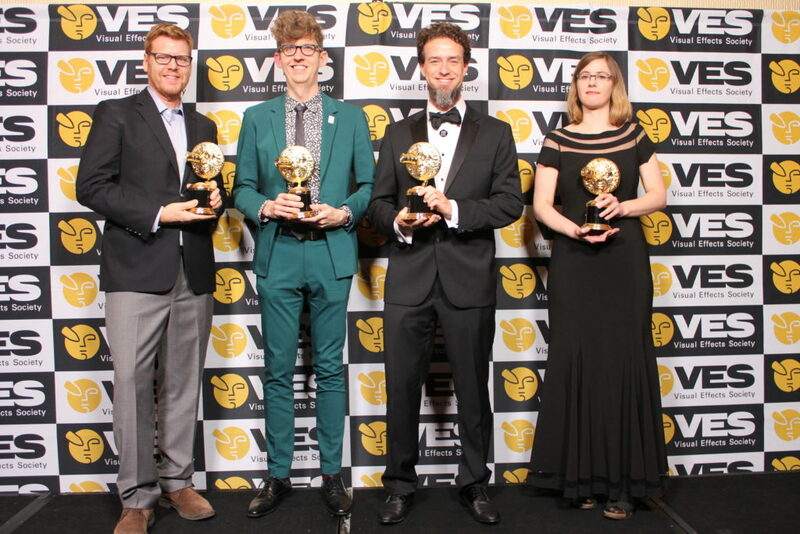 John Kahrs, Kevin Dart, yours truly and Theresa Latzko at the VES Awards. Previous PostNon-Photorealistic Animation (SIGGRAPH 1999 course notes)Next PostPolarized Rainbow! I never seen such wonderful Waves and waterstructure animated ! Bravo for your work, all together !!!! Cassidy Curtis's splendid display of colorful things. I'm Cassidy Curtis, and this is my blog. I hack human perception for fun and profit.